Like the soundtrack to a lonely walk on a warm summer night, Empty Nesters’ Jaded is both melancholic and hopeful. 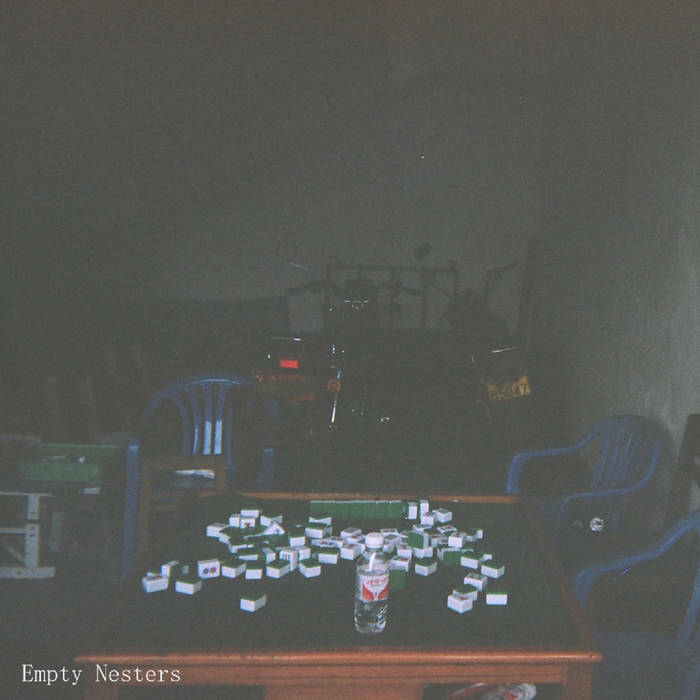 Empty Nesters is the solo project of Ottawa’s Eric Liao. Shoegazey guitars and self-loathing lyrics are punctuated with yelping vocals and punching synths that drift off into a fever dream of noise and sadness. If it had to be compared, Jaded sounds like the child of Bandcamp golden boy, Will Toledo’s (Car Seat Headrest) lo-fi warbling, the ethereal daze of Cocteau Twin’s guitar work on Heaven or Las Vegas. Maybe throw a little of the screeching, bouncy energy found on This is a Long Drive With Nothing to Think About era Modest Mouse into the mix as well. It’s morose, without sounding self-indulgent. The opening track proves this. Entitled “I Had Fun Once, It Was Terrible”, this song lays emotionally distraught lyrics overtop of fuzzed out guitars. While the title may be tongue in cheek, the song delves into self-loathing in a way that feels more heartfelt than the song title leads to believe. Layered guitars drown out Liao’s voice mimicking the drowning effects that depression has when it takes hold. “Buddha Pop” feels like an ode to the all too familiar feeling of fleetingness that only seems apparent when reflecting on the past and the anxiety-inducing battle of procrastination. Lyrically, this may the strongest track that finds its way onto Jaded. Liao is pensive and thoughtful, crafting an ear-worm hook while charming listeners with vulnerable and relatable prose. Halfway through, Liao shift gears with a lighter sound, bringing us something a little more danceable. While the overall tone of the album is not altered, “Bleek 2”, breaks up the sonic gloom of the EP, without betraying the moodiness that the rest of Jaded cultivates throughout. The jangling, distorted guitar work that finds its way it the latter two tracks, provide a noisy conclusion to the five song EP. Liao never loses his cool delivery, even among the chugging and squealing strings of “Drag Me Down”, his reverb steeped vocals rarely breach the surface of instrumental haze that seems to envelop the track. “Tilt”, the final song on Jaded, picks up where the previous song left off. Driving, distorted riffs that refuse break until listeners are met with a midpoint lull, almost like a reflection on the intensity that the track just flaunted. Moments later the song breaks into another turbulent jam session that dies off only in the final seconds of the song, showcasing the rawer, more aggressive side of the angst-ridden and emotional EP. Jaded is an EP that feels like it accomplishes what it has set out to do. It captures the emotional nuances of anxiety, depression and loneliness without sounding contrived or inauthentic, while at the same time, does not take itself too seriously.